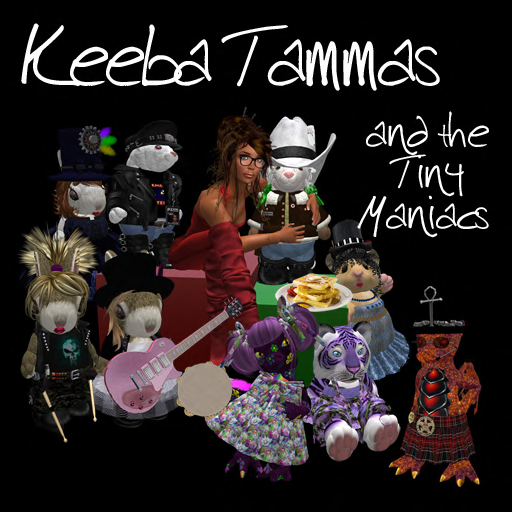 Keeba Tammas is one of the finest female vocalists in Second Life. A professional vocalist for many years, Keeba was in a variety of bands in the eighties. She also did voice overs for cartoons and commercials. A seasoned performer in SL as well, Keeba is one of the most sought after female vocalists available. From the first song to the last she delivers a power packed punch … belting out her songs with tremendous energy and shear raw talent. Her backup band, The Tiny Maniacs add to the fun for a free wheeling, high energy performance.